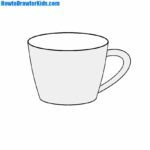 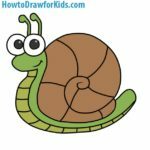 Hello dear readers of How to Draw for Kids and welcome to the drawing lesson about how to draw a butterfly for kids. 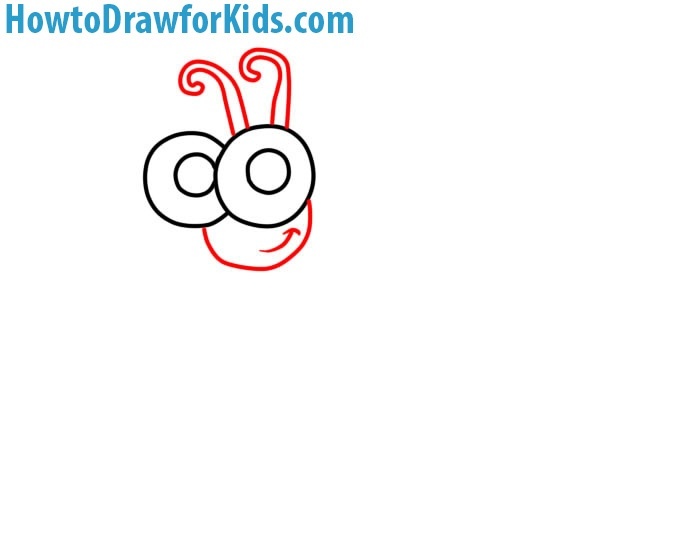 At the first step we draw the eyes and pupils of our butterfly with the help of ordinary circles. 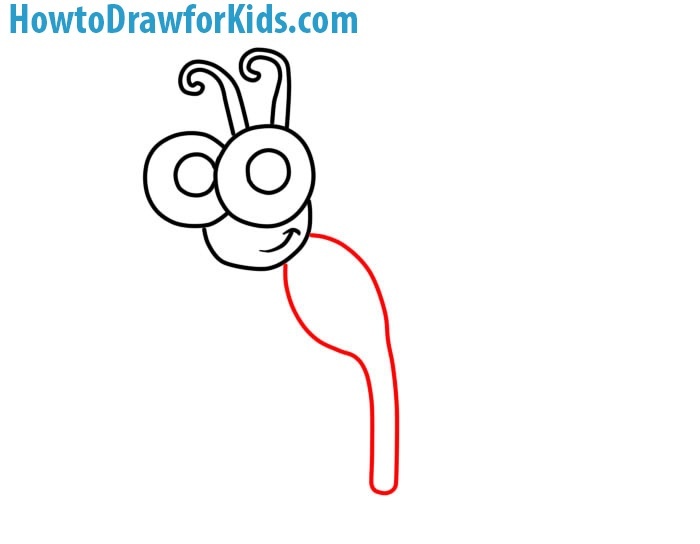 Above the eyes draw a butterfly’s antennae above the eyes and a face with a mouth as shown in our example. 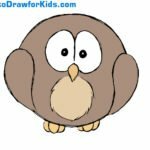 In this step of the drawing lesson on how to draw a butterfly for children we draw the body. 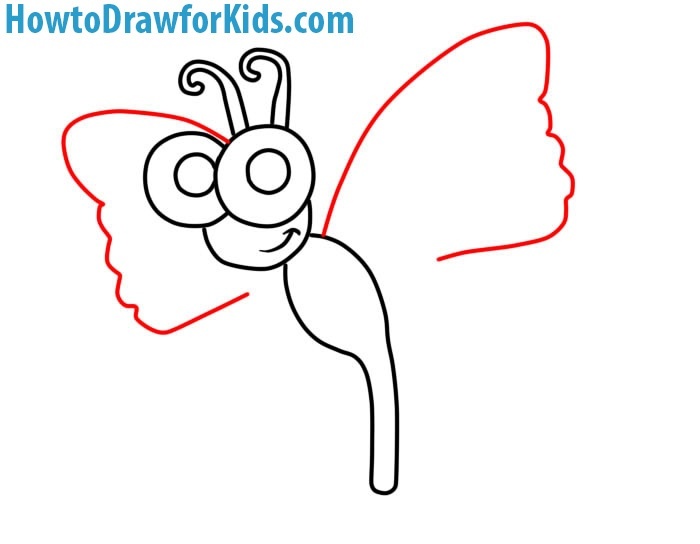 Using long and curved lines draw out the upper part of the butterfly’s wings. 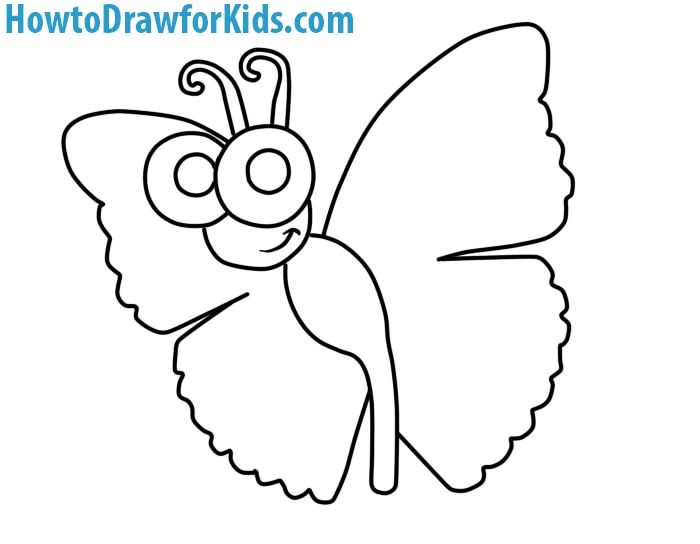 Continue the butterfly wings and draw their lower part as shown in our example. 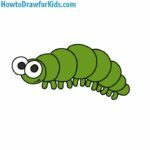 If you did everything right, then you will get here such a drawing of a butterfly. 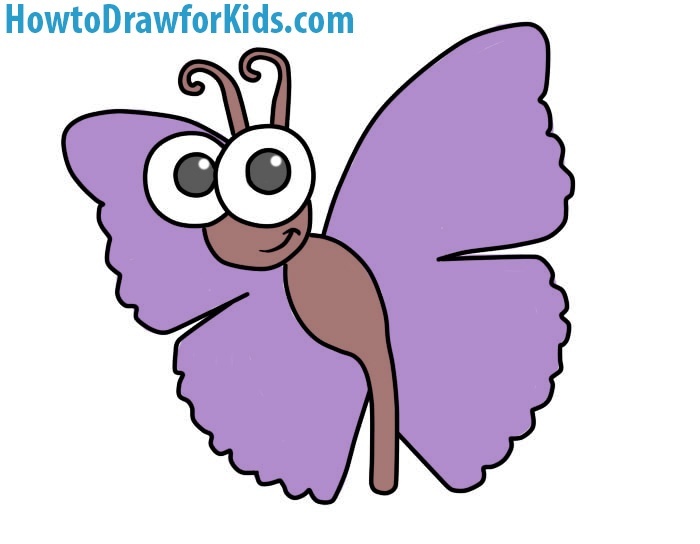 Since butterflies come in a variety of colors, here you can use any colors to paint out the butterfly. 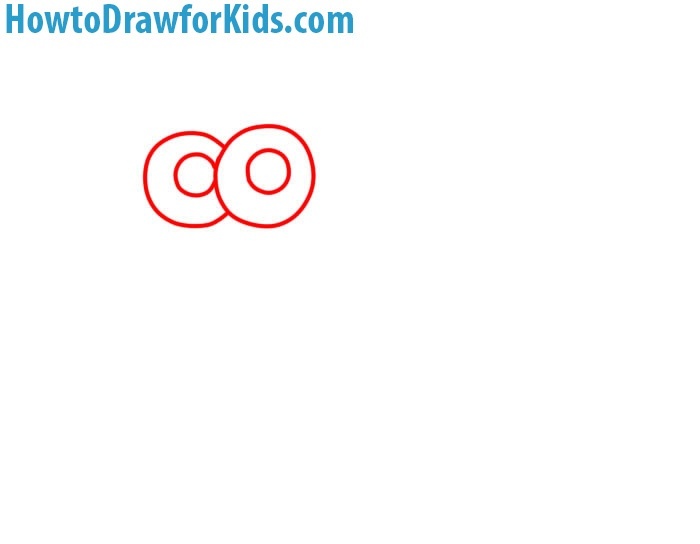 So, today we showed you how to draw butterfly for kids. 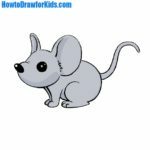 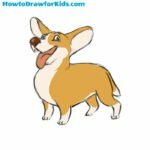 Visit our other drawing lessons about animals and share them with your friends.